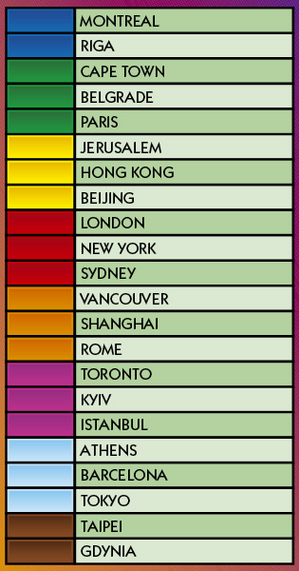 The good news, Taipei has made the International Monopoly edition. Bad news, if you choose to look at value of the property it has on the board, it’s the second lowest, just above Gdnyia, a city in Poland. The top twenty were selected from list of 70 cities. The last two, Taipei and Gdnyia were selected during a runoff vote from a list of 20 cities that were written-in. It seems like not everyone is happy with their positioning.